Amsterdam, 23 November 2018 – According to the European Chemicals Agency (ECHA) microplastics are much more likely to accumulate in soil and waterways than in oceans. Commissioned by the European Commission, ECHA collects and analyses information about the risks to the environment and health caused by intentionally added microplastics in products. Early next year ECHA will publish a report with recommendations for measures on the basis of which the European Commission can decide to prohibit manufacturers adding microplastics to their products. A restriction on their use is then regulated under REACH. Currently polymers are exempted from the REACH procedure for admission of products on the European market. ECHA presented its initial findings at a press conference: there is abundant evidence that microplastics have invaded food chains, that they accumulate in the environment and that they do not degrade. It is difficult to tackle this problem other than at the source. A PowerPoint presentation explains the situation and ECHA points out the effect of the Beat the Microbead-campaign. 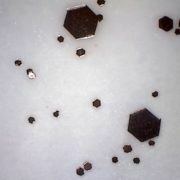 That campaign — led by the Plastic Soup Foundation — has generated much attention for the problem. Individual Member States now consider a ban on micro plastics in cosmetics. In their presentation ECHA also points out that microplastics in care products perform many functions other than exfoliating. 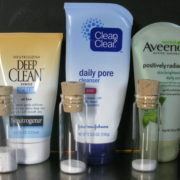 On a voluntary basis, the cosmetics industry has so far only removed the microplastics that fulfil an exfoliating function from the formulas. This means the problem is far from being resolved. Earlier this year consultation meetings took place in which the Plastic Soup Foundation also gave its opinion and brought to the attention the Beat the Microbeaddata file that offers insight into the question of which microplastics are to be found in which care products of which brands. The Agency released a video (see below) in which the Director of ECHA, Bjorn Hansen, tells that ECHA will formulate recommendations for the European Commission on the basis of the study. Jeroen Dagevos, head of programmes at the Plastic Soup Foundation, also appears in the video. 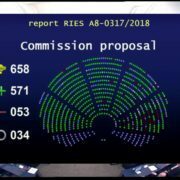 Strasbourg, 25 October 2018 – Yesterday in the European Parliament an overwhelming majority voted in favour of a considerable reduction of single-use plastics. More than 87 percent (571 Members of Parliament) brought out a positive vote. In a ground-breaking decision, manufacturers of plastic packaging, cigarettes and fishing nets will have to contribute to the cost of cleaning up their waste. So far, these costs were passed on to the society. From now on manufacturers will be held responsible for the pollution caused by their products. 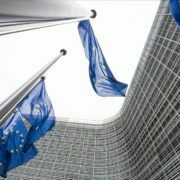 The European Parliament went even further than the European Commission’s proposal earlier this year. 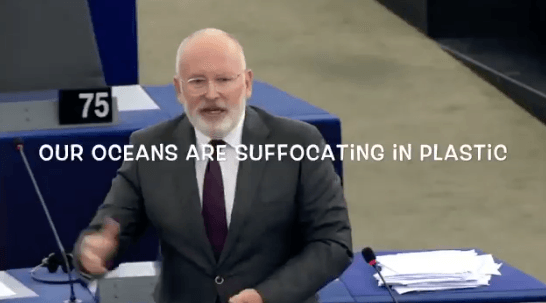 EU Commissioner Frans Timmermans, among others, often spoke out in favour of the so-called Plastics Strategy and was awarded the Plastic Soup Foundation’s ‘Politieke Pluim’ (Political Compliment) last week. Firstly, the measures contain a ban starting 2021 on the single-use plastics that are found to be the most common litter in the seas, such as plates, cutlery, straws, balloon sticks and cotton swabs. Parliament has expanded this list to include products of oxygen-degradable plastic and expanded polystyrene (such as fast-food boxes). 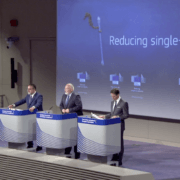 In addition, Member States must draw up national plans to encourage multiple use or recycling. Other types of plastics that can be recycled, such as drinking bottles, must be collected and recycled, with a target of 90 percent in 2025. Reaching this target is only feasible if deposit systems are introduced or extended. Reduction targets have also been established for cigarette butts because these also contain plastic. Waste from tobacco products should be reduced by 50 percent in 2025 and by 80 percent in 2030. Furthermore, Member States must ensure that annually at least 50 percent of lost fishing nets are collected. Fishing nets are responsible for 27 percent of the waste that is found on European beaches. Next week the environment ministers of the EU Member States will speak about the legislative text, after which this will go through European Parliament once more and will then finally be presented to the European government leaders for approval. Read the European Parliament press release. 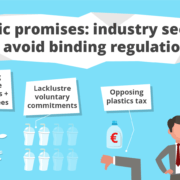 Amsterdam, 15 September 2018 – With a knife in the back, the European plastic and packaging industry is showing its true colours. 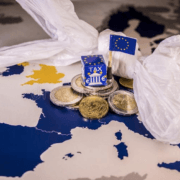 The European Commission proposed a new Directive last May which revolves around dealing with single-use plastic by banning certain plastic products like drinking straws and disposable cutlery, and making producers responsible for the waste phase of their products. 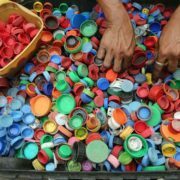 Last month, the plastic and packaging industry responded to the proposal with a statement signed by 68 companies in the industry. The Afvalfonds signed for the Netherlands and Fost Plus signed for Belgium. The plastic and packaging industry’s statement in particular objects to article 8 which says that producers should be made responsible for clearing up single-use plastic. It argues that industry is not responsible, but the polluting citizens themselves. There is limited awareness and waste collection is poorly organised. 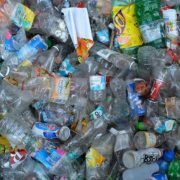 The lobby’s object is clear: to continue to produce unlimited amounts of plastic and to keep the production costs to a minimum. 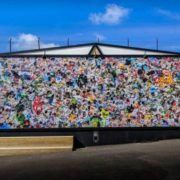 An alliance of environmental organisations, including the Plastic Soup Foundation, has expressed its concern about the plastic and packaging industry’s position and has itself produced a statement which argues the case for each point raised by the industry. 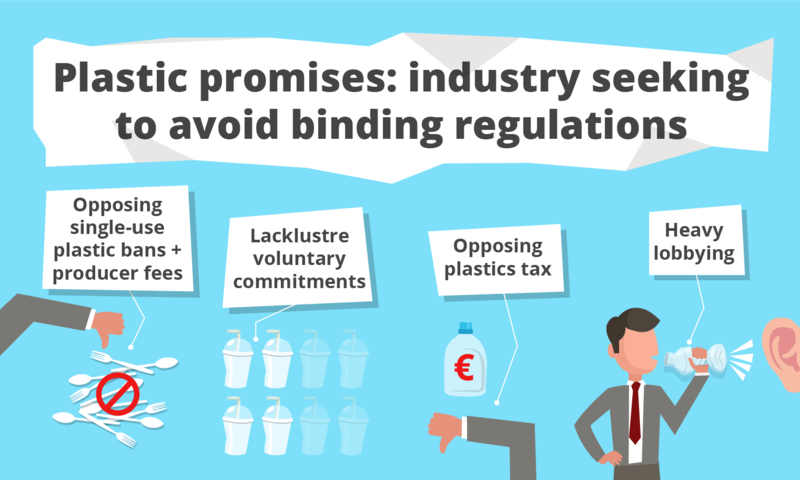 The plastic and packaging industry should not attack the proposed Directive but should embrace it, recognise its own responsibility and not continue shoving the responsibility on consumers.